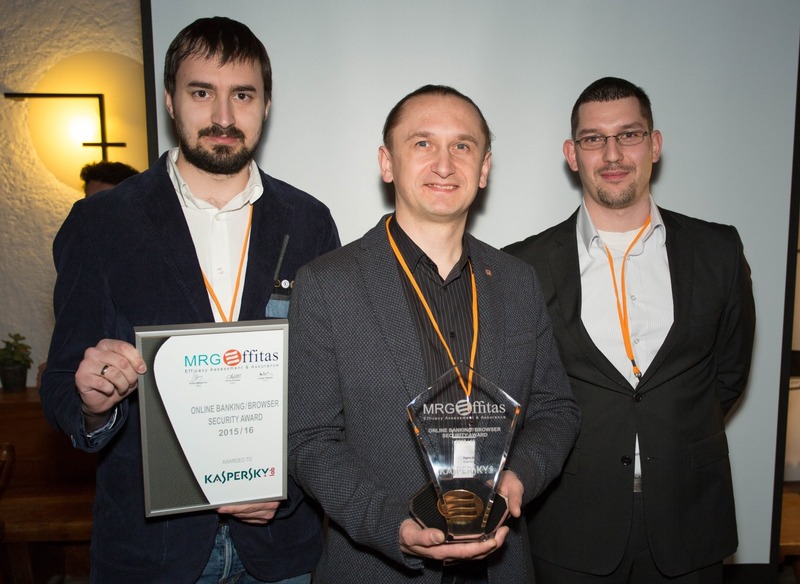 We are delighted to announce that this year we were able to deliver the MRG Effitas Online Banking/Browser Security award to Webroot, Quarri and Kaspersky Lab. Our award is the result of our quarterly comparative quality assessment which evaluates the reliability and efficiency of security solutions against financial threats. It has become the de facto standard of the industry. It is an achievement just to pass the MRG Effitas Banking Certification, so for these firms to win this award is a significant achievement. The tests we use to determine the winners of this award replicate real world conditions: during the fourth quarter of the tests, we tested the solutions against in-the-wild financial malware, live botnets running in our testing environment (SpyEye, modified Citadel, ZeusVM and others) and, in the simulator tests, developed in-house POC tools which utilize all known attack methods and posing as an Unknown Threat, some of the following functionalities have been used: Cookie stealer, In-memory Keylogger, SpyEye webinject, hook via not exported functions, hook via page exception, hook via debug register, remove hook protection and inline hooking. Our award signifies that the tested Internet Security Suits and Safe Browsers can protect online banking transactions and e-shopping on a computer which is infected with active financial malware. The Internet Security Suits Browser Protection and Safe Browsers will prevent the malware from stealing credit card data or modifying the online banking transaction. Recipients of our award showed that they are capable of protecting their users against both known and the unknown threats. “We would like to congratulate Kaspersky, Weboot and Quarri for their efforts in keeping up with the current threats, evolving their technology and, most important of all, protecting users. Our trophy is shaped like a shield with a coin bearing the Effitas logo positioned on a pedestal behind it. The focus can be on the shield or on the coin resting on the pedestal. The shield symbolizes protection and security, while the coin symbolizes value and wealth. The shape can also be interpreted as an open shell in which a coin is shown instead of a pearl. The carbon fibre frame on the shield and the pedestal symbolizes the use of advanced technology, security and safety. The award was designed by IndividuARCHT, Hungary.